Where does your money go when you pay for something?? Our priority is to be the "Greenest", most environmentally friendly, and Best, Rental Car company in the world! Better for You and Better for the Planet! Bio-Beetle believes in doing as little harm to the environment, people, and animals around us as possible. Ethical living and sustainability is our driving force. We live by our beliefs and we will only do business in the same way. 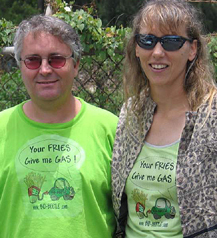 Shaun Stenshol and Pamela Miedtke-Wolf started Bio-Beetle in 2003 with one biodiesel car. 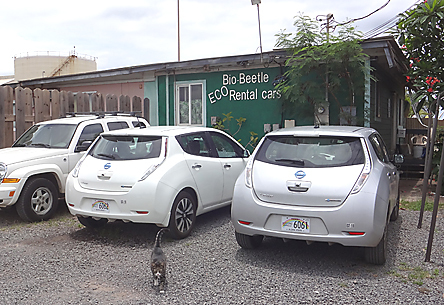 The whole idea behind bio-beetle ECO rental cars came from protecting the planet. They wanted to show people that there are greener options out there, and they can be had with virtually no major changes between them and the other guys… except for changes for the better…. We all know how bad the oil industry is… oil spills, global warming, climate change, disease, pollution, wars fought over oil, etc… We also all know the need to reduce our fossil fuel use, as a country and as individuals, and we need to support alternatives, sustainable and local sources, for the well being of our planet and everyone on it, for today and the future. We all make choices, everyday, that have an impact on the world around us and we believe that we all should do all we can to protect this place we call home. Bio-Beetle ECO rental cars makes it easy for people to do this. Our prices are very comparable to other rental car companies, even though our cars cost us more and are specialty cars. Yet if you factor in the true cost of fossil fuels, all the damage it does, the costs of health problems, and global destruction, even if our prices were a lot more, we would be a lot cheaper in the long run… and worth it! Plus they lend out free coolers and boogie boards, etc… to help reduce waste even more and make their customers trips even better! Bio-Beetle believes in knowledge, peace, and reason. There is no place for prejudice, discrimination, ignorance, nor cruelty in our world. We all must take responsibility for our actions Look at everything we do. Is there a better, greener, nonviolent alternative? Then why not do it. 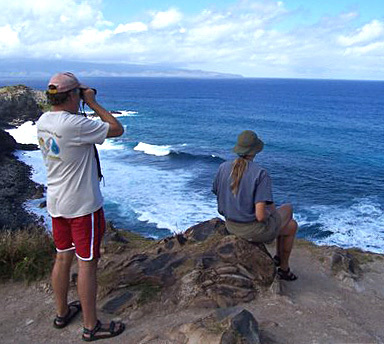 Youre not just renting a car..
100% of net proceeds go towards Animal Rescue and Sheltering on Maui. We are very interested in expanding our business, and are looking for others who believe in what we are doing. If you want to become part of Bio-Beetle ECO rental cars, or just want to help us expand, or do more, please send us a note!